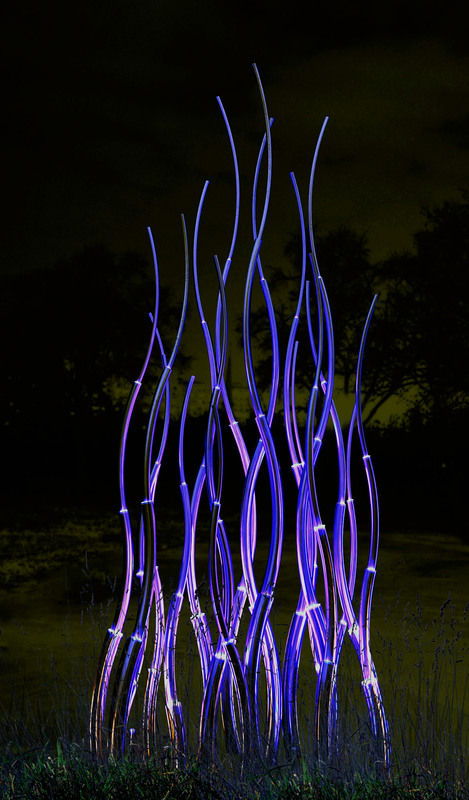 Blue Grass is an installation inspired bysoft and swaying tall grass. 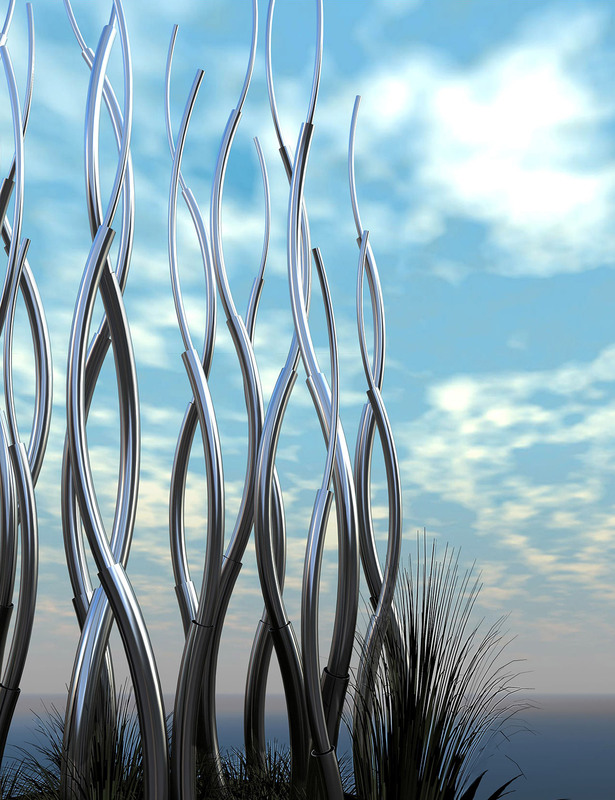 Representative of elements that complement natural formations, it is imagined as a group of wavy strands of Stainless Steel. The strands appear to impart celebratory emotions, gently curving in a symphonic asymmetry. Each strand in this light installation is crafted by reducing the diameter of each segment traversing from the bottom to the top. 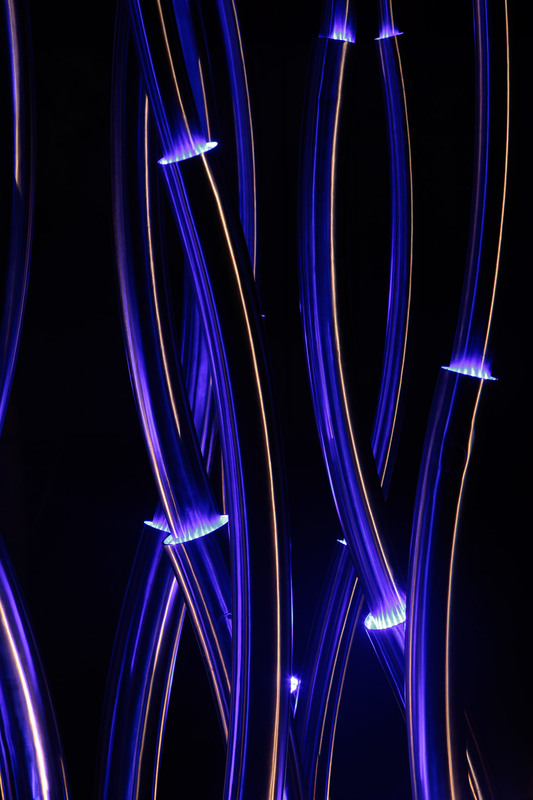 Hence, nodes are created with gaps that have blue light placed inside. The light fixture in the node of the lower segment throws a gentle wash on the Stainless Steel segment placed above it. 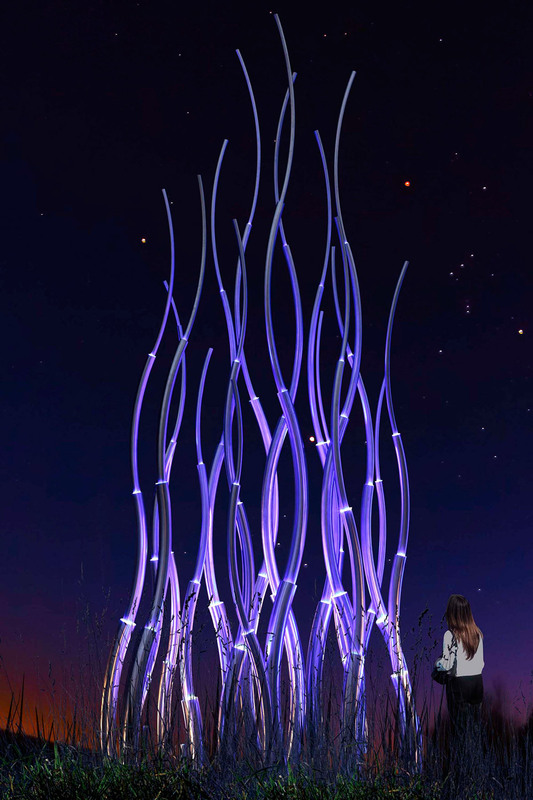 The installation comes alive at night with a dynamic glow to reveal an impactful form. During the daytime, the stainless steel subtly resonates within the surrounding imagery to reflect the myriad moods of the environment. Copyright © Vibhor Sogani. All Rights Reserved.